Fannie Ward was born June 22, 1872, and made her stage debut in 1890 in "Peppina." She went on to become a very successful stage star for many years to come. Around 1890, she sailed for London and made a hit in music halls there, as well. She married diamond broker Joe Lewis who was worth an estimated $50 million. After a short break, she went back to the stage, returning to the United States in 1907. While playing in "Madame President" in 1913-1914, she divorced Lewis and married her leading man, John W. Dean. 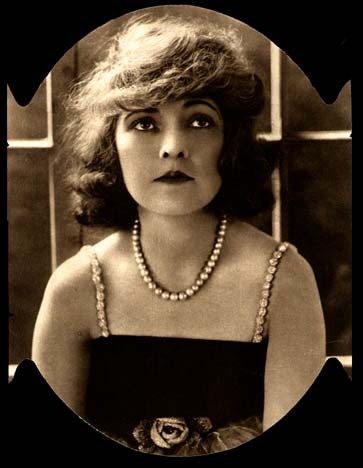 In 1915, Cecil B. DeMille convinced her to star in his new movie, "The Cheat," which co-starred Sessue Hayakawa. Although she considered herself a comedienne, she was determined to play the part well, which she did. Although she was 43 when she made the film, she appeared much younger (she claimed she was 40). This began a busy film career for the next few years, many of her features co-starring husband John. Ward's films were successful, and she gained a loyal following of fans. When she and Dean built their huge Italian mansion in 1919, it was a well-publicized event. After making "The Hardest Way" in 1921, she decided to go back on the vaudeville circuit. Ward's daughter by first husband Lewis married into British society, and she sailed for Europe where she spent much of her time. In 1926, she opened a Paris beauty shop. She continued touring on vaudeville occasionally into the 1930's, still belying her age, now well into her sixties. Her daughter died in a plane crash in 1938, and Ward lost her husband in 1950. January 25, 1952, she was found unconscious in her Park Avenue apartment following a stroke. She never regained consciousness and died Jan. 27.